David Weidman IS an Artist. Born in Los Angeles in 1921, Weidman came of age as an art student at Jepson Art Institute following WWII. It was the height of Disney-era animation and the midst of a booming post-war L.A., where innovation, new ideas, and creativity became an American imperative, with Los Angeles being the epicenter. 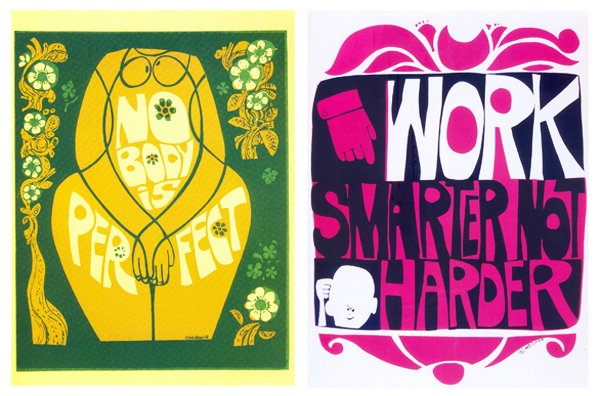 Under the guidance of master printmaker Guy MacCoy, the Jepson Institute had pioneered many techniques of silkscreen printing as a fine art medium, versus aÃ‚Â Ã‚Â reproductive process. 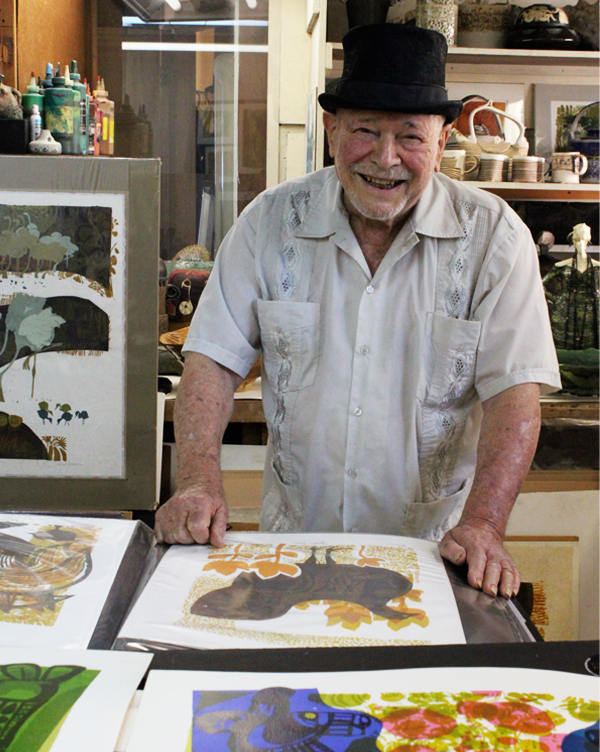 Weidman stepped into this new and exciting world of serigraphy and began to embrace it as his preferred medium of expression. Within WeidmanÃ¢â‚¬â„¢s editions there are great variations, because unlike most printmakers who aim to reproduce the exact image, with the exact characteristic, Weidman cultivated an organic process in which colors would be remixed, paper stock would change, a new image idea may occur to him. This unique style of improvisational printmaking made, in essence, each print a kind of monotype. WeidmanÃ¢â‚¬â„¢s time illustrating backgrounds for cartoons such as, Ã¢â‚¬Å“Mr. Magoo, Fractured Fairytales, and Gerald McBoing BoingÃ¢â‚¬Â really sharpened his awareness of the importance in each mediumÃ¢â‚¬â„¢s role and how it plays. 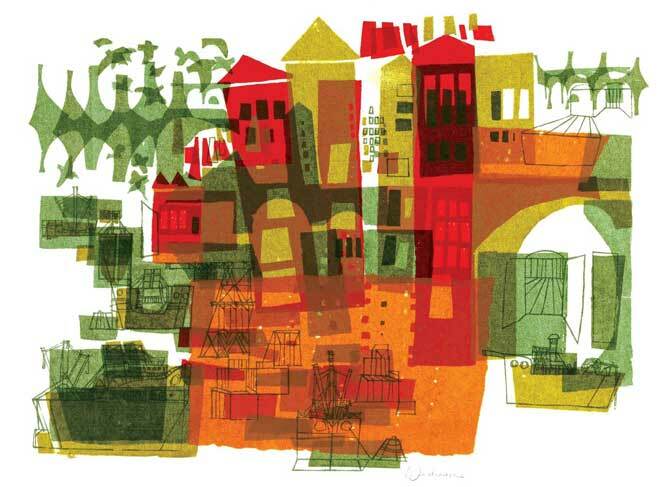 In the 1960s, Weidman opened his own gallery; a modest operation in hip burgeoning gallery district of La Cienega. Pop, Conceptual, Light and Space, were the emergentÃ‚Â trends of the times and printmaking, andÃ‚Â especially serigraphy, was not considered a fine art medium, yet. WeidmanÃ¢â‚¬â„¢s work, however, gradually began to shift perceptions of the serigraphy with his following of clients growing rapidly and large, to the chagrin of his fellow gallerists. Soon after, WeidmanÃ¢â‚¬â„¢s iconic style of illustrative printmaking was being called upon to adorn the lobbies and halls of prestigious hotels across Southern California. His success, however, came with a price. 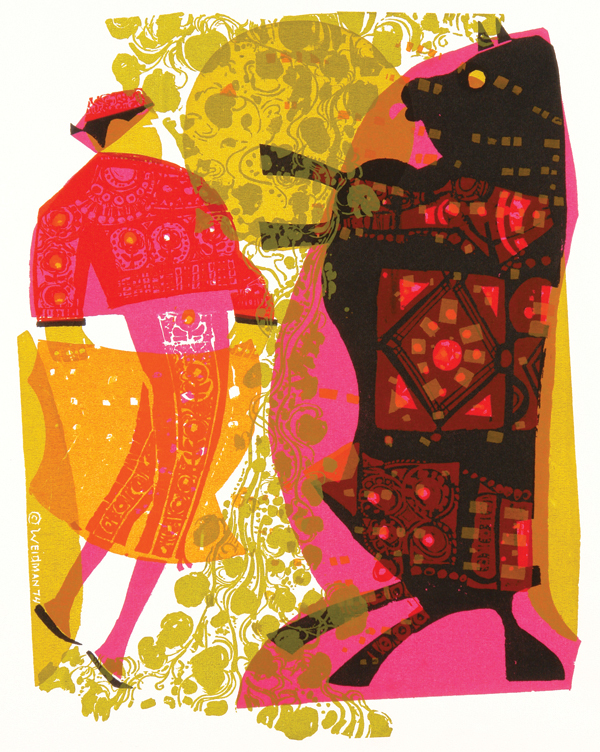 The high physical demands of the process wrought the aging artist, leading Weidman to abandon screenprinting in 1980, leaving only his original prints in circulation. Now approaching ninety, Weidman, whose attention in recent years has turned toward ceramics, is not only more comfortable with the idea that he is indeed an artist, but is also reflective on just what that means. David Wiedman IS an artistÃ¢â‚¬Â¦but above all, heÃ¢â‚¬â„¢s a man who loves his wife, his family, and his life. ItÃ¢â‚¬â„¢s this quality, above technique, or notoriety, or commercial success that defines him as such. All images and designs are Copyright of David Weidman 2010, all rights reserved.